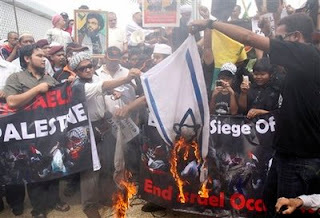 the world is mine: the world today..
Pro-Palestinian protestors burn an Israeli flag during a protest against Israel's air assaults on Hamas targets in the Gaza Strip, after Friday prayer at National Mosque in Kuala Lumpur, Malaysia, Friday, Jan. 2, 2009. 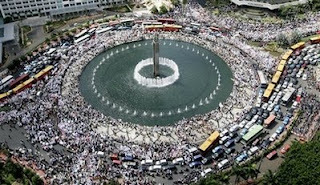 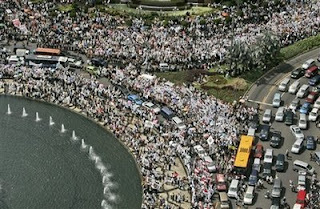 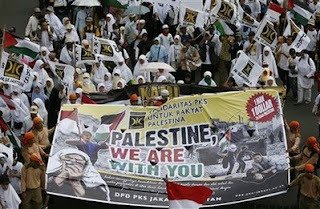 Muslim protesters crowd the main roundabout and Muslim protesters holds a banner during a rally against Israeli military strikes against the Gaza Strip, in Jakarta, Indonesia, Friday, Jan. 2, 2009. 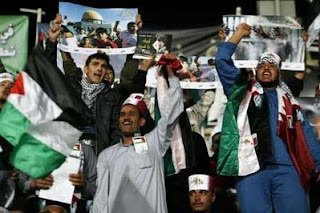 Qataris and Palestinians chant slogans against Israel during a protest over the recent Israeli attacks on the Gaza Strip, at the Qatar Sports Club in Doha, January 1, 2009. 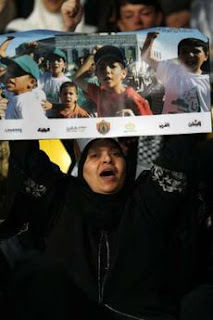 Qatar's Egyptian-born cleric Sheikh Youssef al-Qaradawi attends the protest. 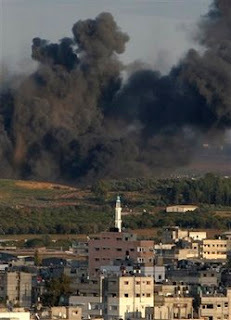 An explosion is seen after an Israeli air strike in the northern Gaza Strip January 1, 2009. 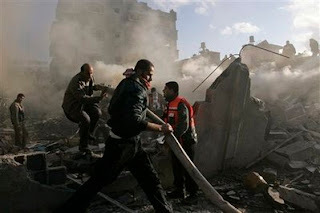 Israel killed a senior Hamas leader in an air attack on his home on Thursday, striking its first deadly blow against the top ranks of the Islamist group in a Gaza offensive that has claimed more than 400 Palestinian lives. 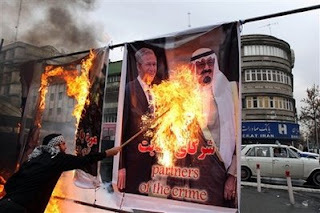 An Iranian student sets a flame to a picture of U.S. President Bush, left and Saudi Arabia's King Abdullah, during an anti-Israel demonstration outside the former U.S. embassy in Tehran, Thursday Jan. 1, 2009. 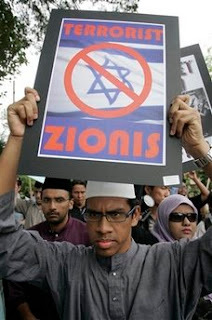 Hard-line student groups appealed to the Iranian government to authorize volunteer suicide bombers to leave Iran and fight against Israel in response to the Israeli assault on the Gaza Strip. 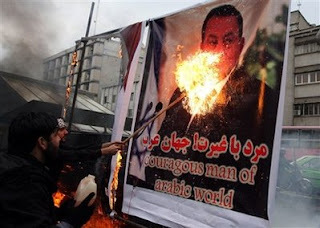 An Iranian student sets a flame to a picture of Egypt's President Mubarak during an anti-Israel demonstration outside the former U.S. embassy in Tehran, Thursday Jan. 1, 2009. 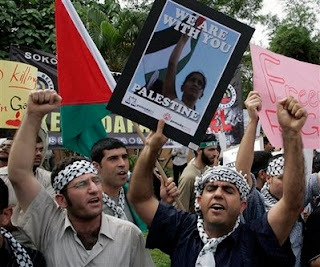 Hard-line student groups appealed to the Iranian government to authorize volunteer suicide bombers to leave Iran and fight against Israel in response to the Israeli assault on the Gaza Strip. 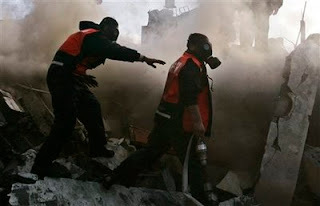 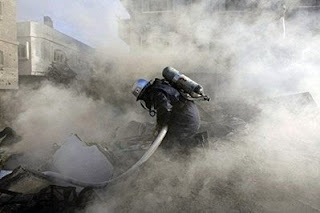 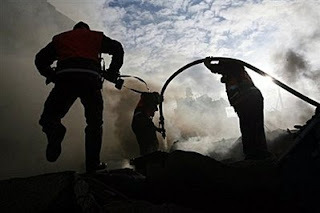 Palestinian firefighters work at the scene of an Israeli air strike on the home of senior Hamas leader Nizar Rayan in the Jebaliya refugee camp in the northern Gaza Strip, Thursday, Jan. 1, 2009. 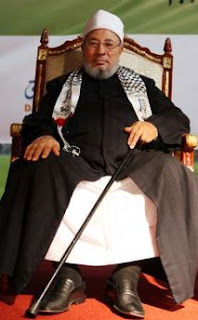 Israel assassinated the Hamas strongman Rayan on Thursday in its first assault on the top leadership of the territory's ruling group. 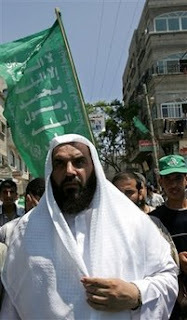 In this Aug. 5, 2005 file photo Hamas leader Nizar Rayan marches during a protest in the Jebaliya refugee camp in the northern Gaza Strip. 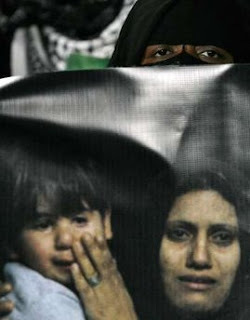 Israel assassinated Rayan Thursday Jan. 1, 2009 by dropping a one-ton bomb on his house, also killing two of his wives and four of his children. 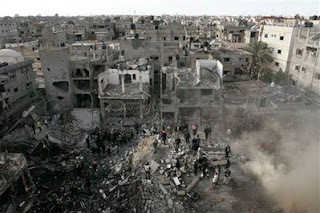 This first assault on the top leadership of Gaza's ruling group escalated a crushing aerial offensive even as Israel declared itself ready to launch a ground invasion.